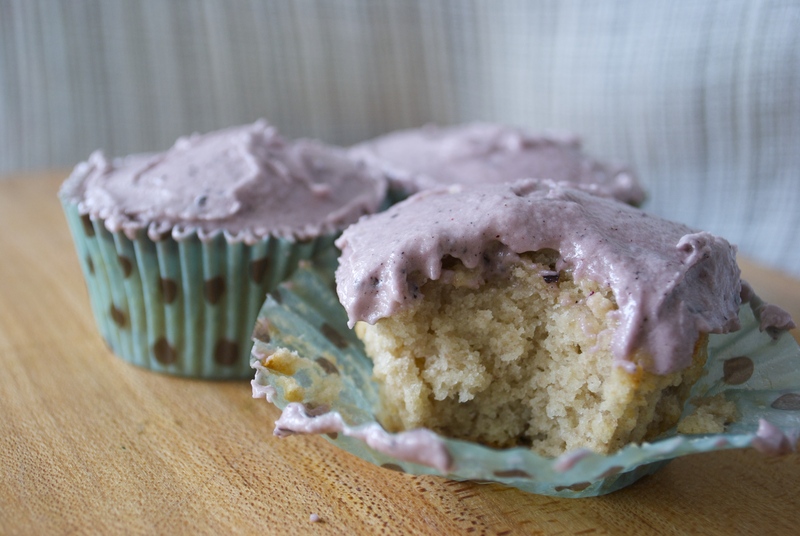 Vegan Taro Cupcake Version 2. A long time ago, I posted about a Taro Cupcake. It turned out tasting just fine, but rather beige in color. It was an all together unattractive little cupcake and needed some tailoring. 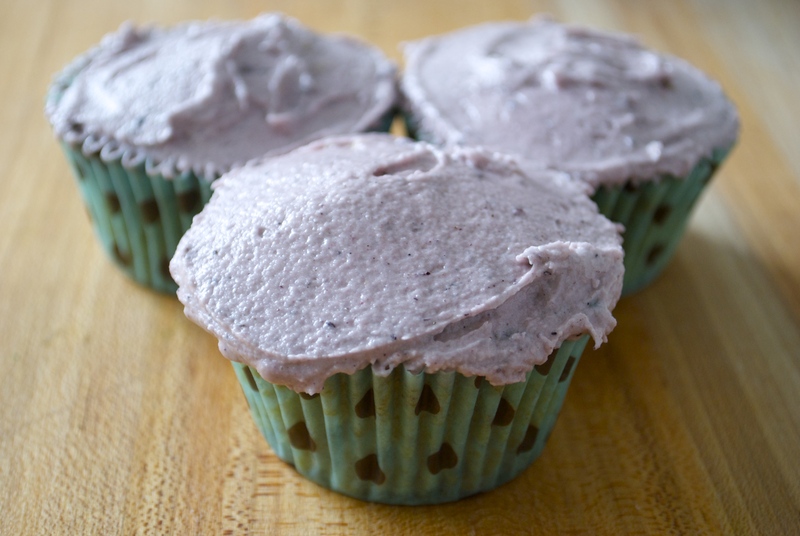 I think this lavender colored, Vanilla-Hibiscus frosting did the trick. For purple color, you can use a few drops of the water from boiled purple cabbage, or a natural food coloring like Seelect. Funny thing: It’s warm as ever here in Los Angeles. As this frosting sweats, it becomes more purple!